With stretch marks affecting so many women through pregnancy, discover how to prevent and reduce them on the blog. Travelling whilst pregnant can be a little overwhelming. Uncover some top tips on how to avoid stress and make the most of your journey. Mama Mio commissioned a survey of around 2,000 adults living in the UK to find out how pregnant women are really treated on public transport. Discover the statistics for yourself. Treat a mummy-to-be to the very best with our luxurious collections of gifts for a baby shower. 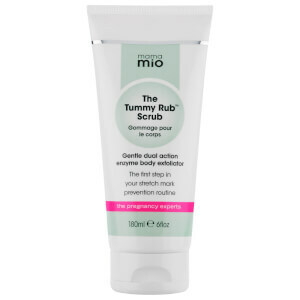 The radically active bodycare from mama mio is all about improving and maintaining the tone, texture and elasticity of your skin. They are proud to lead the new movement in skincare - facial quality body care focusing on the specific benefits women want, to achieve and maintain fit skin for life. Great skin shouldn't be exclusive to your face. Look after every inch of you and feel great in your skin.